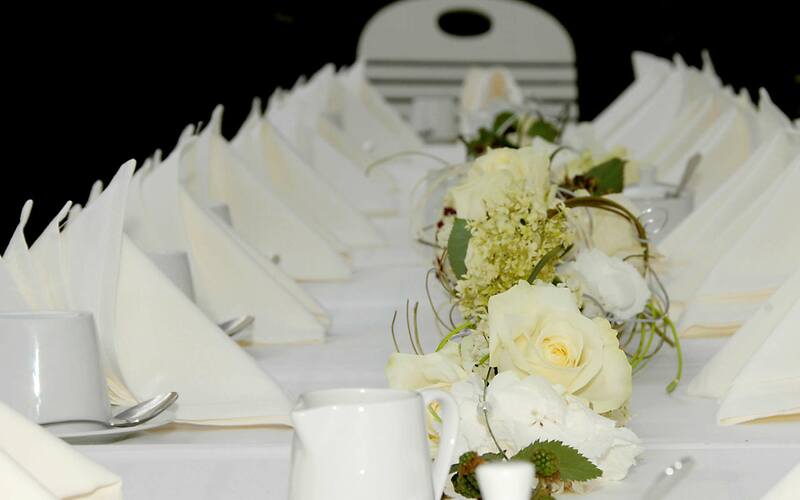 We will work with you to plan and organise your event in accordance with your ideas and wishes. You are welcome to use the terrace and park to simply relax or chat. We would be delighted to prepare an individual quotation in line with your requirements. Gladly we plan and design with you your event according to your ideas and wishes. Contact us. You can start the best day of your life with your marriage in Schloss Kartzow. 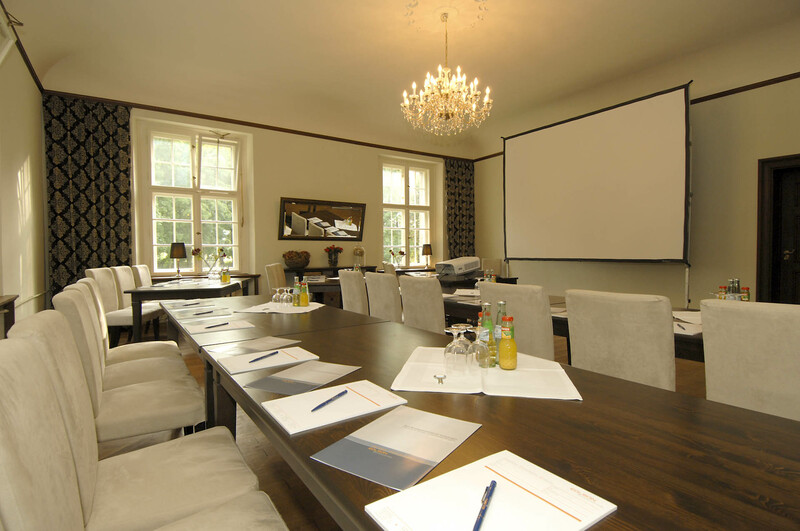 The register office is located in the baroque Kleiner Gartensaal (Small Garden Room) of the stately home. The register office will be made available for your wedding ceremony for a flat fee of €250.00. The room is furnished in soft pastel shades and can seat 24 guests and the bridal couple. 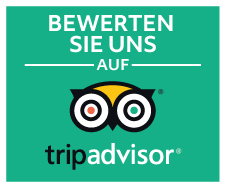 We charge € 3.00 for each additional place. 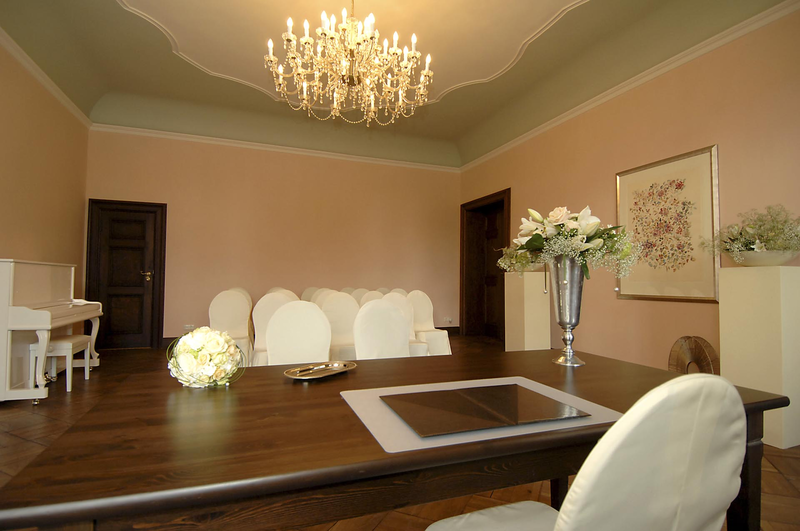 Schloss Kartzow can provide a piano for your marriage on request. Schloss Kartzow will decorate the register office. Please feel free to discuss any additional requests with us. You are welcome to receive your guests in the garden room of the house or on the terrace after your marriage ceremony. Schloss Kartzow would be happy to assist in any way you may require. Exhilarating festivities in a romantic setting. Start your wedding day with an open-air ceremony in the light-flooded, tree-lined surroundings of the palace park or with a ceremony in Kartzow church or a church of your choice. Receive your guests in style on the terrace or in the garden room, dine like royalty at richly laid tables and make the most of the picturesque backdrop of Schloss Kartzow for unforgettable wedding photos. Plan and enjoy your celebrations at Schloss Kartzow. 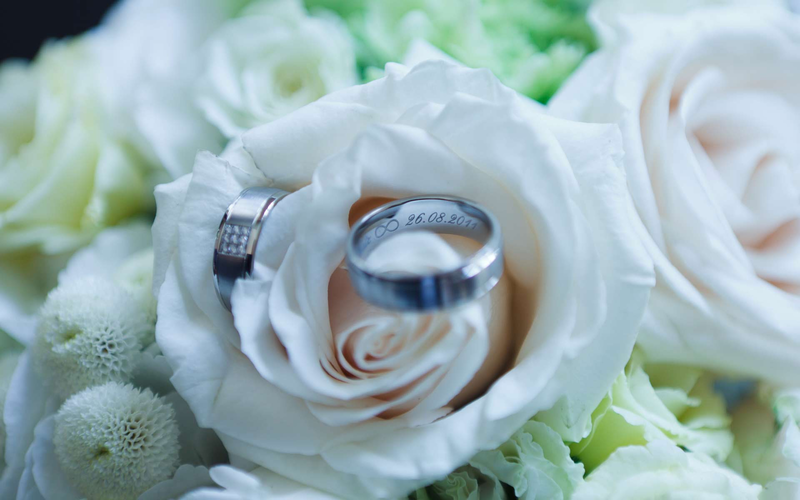 We can arrange unforgettable weddings – and would love to do yours! Needless to say, we offer a comprehensive event service and will take care of the logistics of your wedding. We would be delighted to advise you and prepare an individual quotation. Private parties and special occasions, be it a green, silver or golden wedding, significant anniversaries, children’s birthdays or simply a reunion with family or friends: Schloss Kartzow and its park provide a private, stylish setting for your event. We take pleasure in catering to your specific individual requirements.